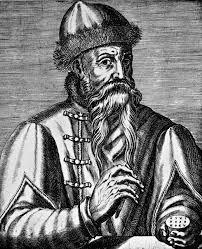 Johannes Gutenberg is one of the most famous inventors in the history of the world. He is best known for his invention of the printing press and movable type. There is not very much known about the early life of Gutenberg. This is mostly because he was born so long ago. He was born in or around the year 1398 in the town of Mainz, Germany to a wealthy goldsmith. This is someone who works with gold objects. During his childhood, Gutenberg moved around Germany several times, but that is all that is known for sure. One of the biggest issues facing the people of Gutenberg’s time was that books were in short supply. In order for more books to be made, they either had to be copied by hand or made with wooden blocks that were pressed into ink. As you can imagine, this made the printing process extremely slow and made it so that literacy was not very widespread, with only the elite and the clergy being able to read. 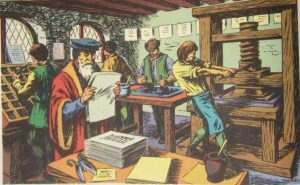 Gutenberg took these existing technologies and some of his own inventions to develop the printing press in the year 1450. With this machine, he was able to make books at a much faster pace, mostly because of his invention of moveable type. Rather than use the wooden blocks to press ink onto paper, Gutenberg’s letters were made out of metal that could be rearranged quickly to make pages much faster. He also added a number of other innovations to make the printing process go much faster. With his new press and innovative methods, Gutenberg could print thousands of pages a day, rather than the 40-50 that could be created with the old methods. This helped more people to become literate since knowledge and education could spread through Europe rapidly. Soon, many other people made printing presses, which helped books to spread through Europe. It is thought that the very first thing that was printed using Gutenberg’s printing press was a German poem. Johannes also made many different things for the Catholic Church. These included Latin Grammars and indulgences. 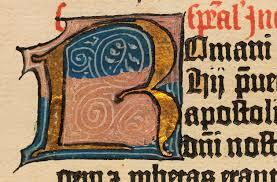 Gutenberg also printed a Bible of his own that came to be called the Gutenberg Bible. Bibles were incredibly rare since they took a priest up to a year to copy. Gutenberg made about 200 Bibles in a very short amount of time. 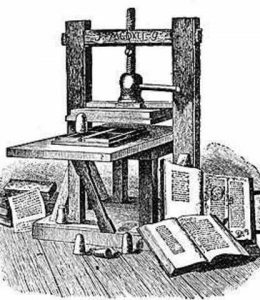 Though his moveable type and printing press are some of the most influential inventions in the history of the world, Gutenberg was not very successful during his lifetime. 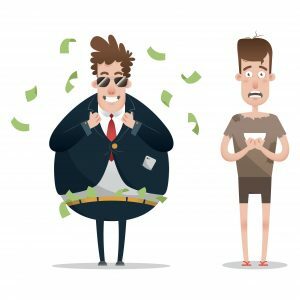 He spent much of his life in poverty, thanks in part to taking out loans that he could not easily repay. Gutenberg lived for a long time considering the time period into which he was born. He lived until he was 70 and died in the year 1468. Gutenberg was exiled from Mainz in 1462. Thankfully, the situation was rectified after he made his invention. This led to him getting a yearly salary. There are not very many Gutenberg Bibles left in existence today. In fact, there are only thought to be about 21 complete versions. These Bibles have an estimated worth of about $30 million. His full name was actually Johannes Gensfleisch zur Laden zum Gutenberg.